Annual Tree & Shrub Sale- Order Now! Bare root tree and shrub seedlings/transplants can now be purchased through Cortland SWCD for conservation planting. By placing an order, you can help make Clinton County a cleaner, greener, healthier community for future generations. Order forms must be received by Thursday, March 31st, 2018. Order early to ensure availability, as there is a limited supply. All orders will be available for pickup in early May at the SWCD OFFICE between 8am-4:30 pm. Arrangements must be made to pick up your order between those times. As always, species have been selected to provide a variety of conservation uses and are adapted to Clinton County site conditions. The program is set up to meet the needs of all county landowners, whether they own a quarter acre lot or hundreds of acres. 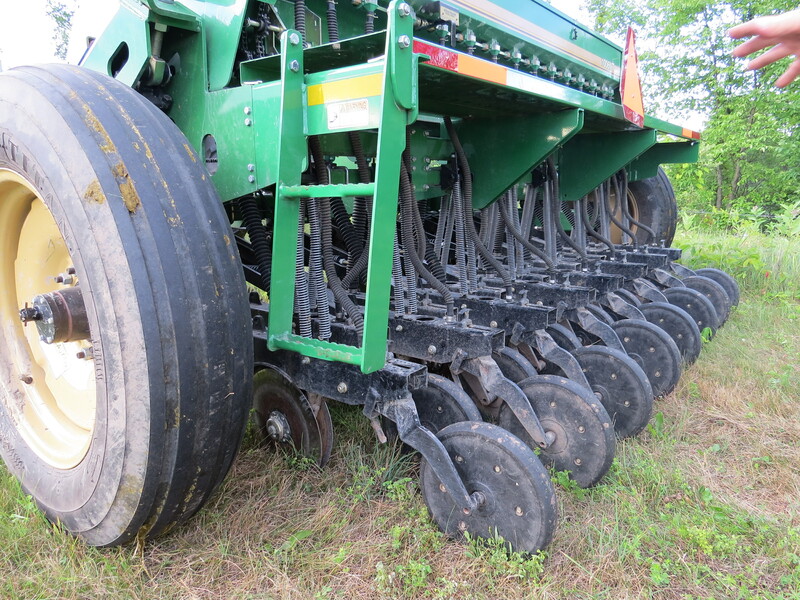 No-till Drill is ready to roll…get on the list! Do you need to reseed hay fields and don’t want to plow, harrow, pick rocks, etc? Practice No-Till by renting our Great Plains 10′ no-till drill. To get in on the action, contact the District office to get on the list. 2 Seed boxes: one for small seeds like alfalfa, clover, timothy and one for larger grasses or summer annuals like sorghum, sudangrass or millet. Ag Assessment Applications are due by March 1st! If you need to have soil worksheets done for new or revised Ag Assessment applications, please contact us as soon as possible. We will need a copy of your tax bill and a few minutes of your time to describe the property’s fields, pastures, woodland and farmstead borders. Ag Assessment only applies to the land used in Ag production plus a portion of the farm woodlot. However, Maple Sugar Bush does qualify for Ag Assessment. More information and forms are available on our Ag Assessments tab. Clinton County Soil & Water is joining the 21st Century! Since we are often busy out in the field, we hope that this website will offer you the opportunity to see all that we have to offer.